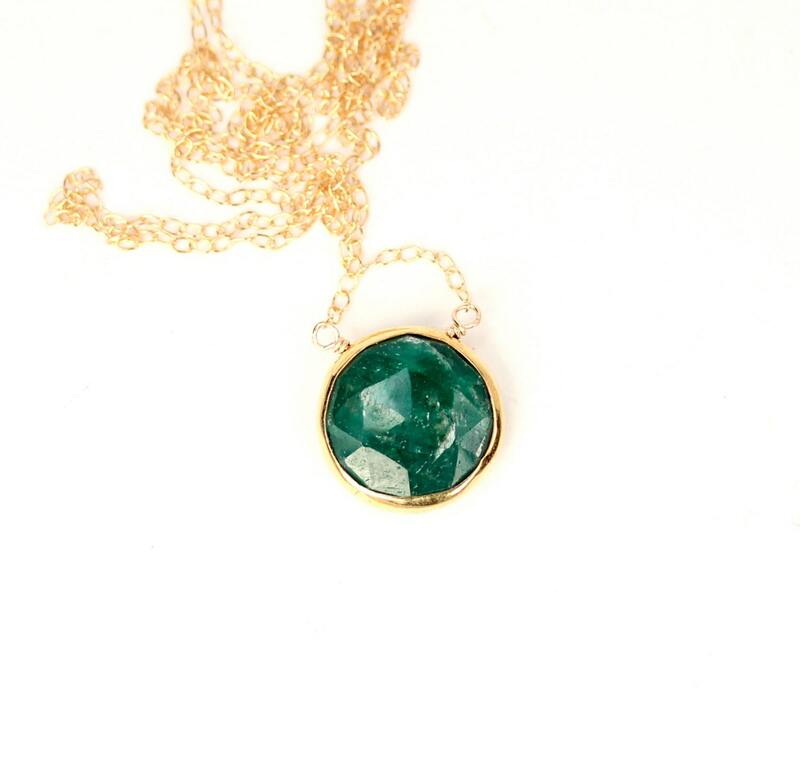 A one of a kind gold vermeil bezel set emerald wire wrapped onto a 16 inch 14k gold veremil chain. Please feel free to select a different length chain if you prefer and your favorite emerald as shown in the fourth photo. 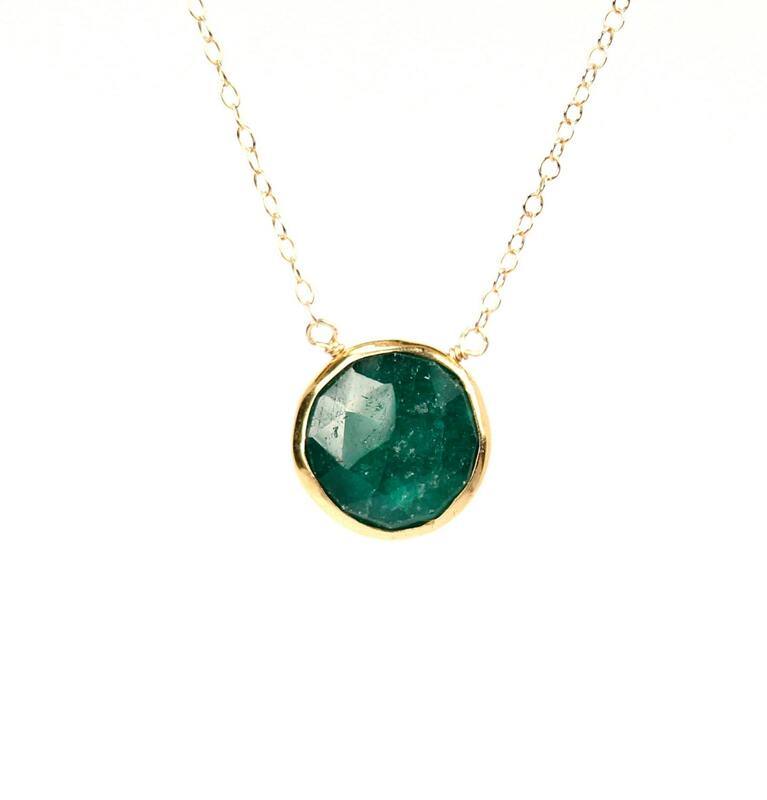 Need a few reasons to love an Emerald other than for its beauty? Emerald is a 20th Anniversary gemstone and a 55th Anniversary gemstone. 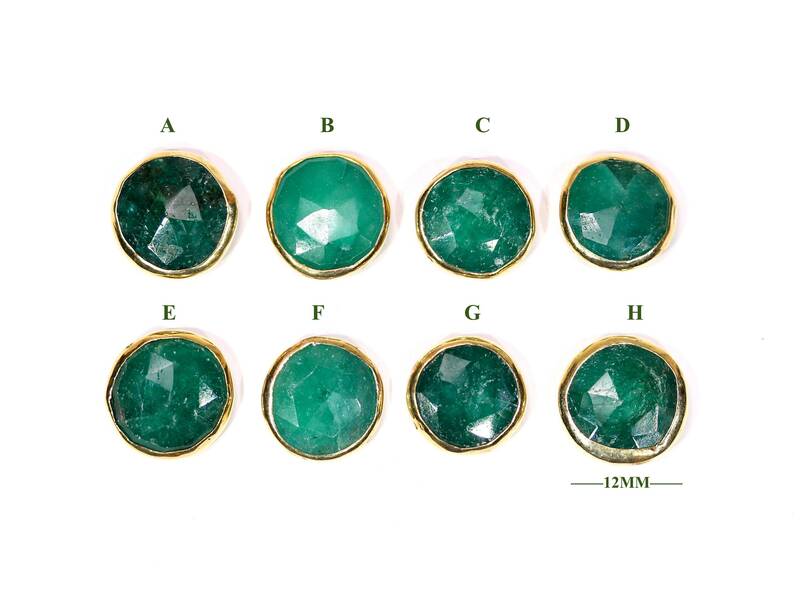 A variety of Beryl, Emerald is a precious gemstone. Emerald is known as the “stone of successful love”. It brings loyalty and provides for domestic bliss. It enhances unconditional love, unity and promotes friendship. Keeps partnerships in balance and can signal unfaithfulness if it changes colour. Emerald stimulates the heart chakra, having a healing effect on the emotions as well as the physical heart. It ensures physical, emotional and mental equilibrium, bringing harmony to all areas of ones life. Focusing intention and raising consciousness, it brings in positive actions, eliminating negativity and enhancing the ability to enjoy life to the fullest. All of my crystals have been cleansed and charged. This is done to ensure that any negative energies have been removed and charged to allow them to serve their highest purpose!